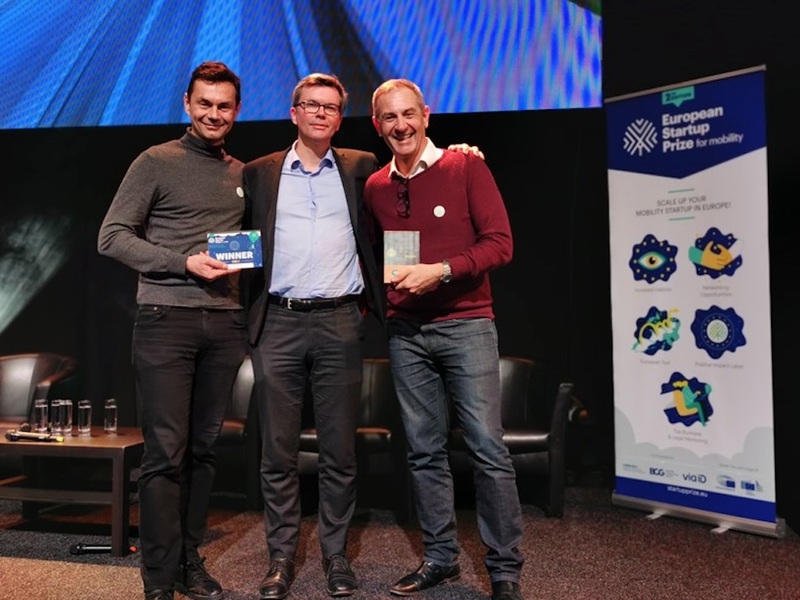 The winners of the 2019 European Startup Prize for Mobility 2019 have been announced, including the UK’s Karhoo taxi/PHV app booking service. Now in its second year, the awards programme is supported by both the European Parliament and the European Commission and aims to promote European startups that use technology and innovation to develop cleaner, safer and more inclusive mobility in Europe and beyond. For 2019, nine winning startups were selected from among 571 candidates following an extensive assessment process. For the first time, a European public vote was used to select the 10th winner. This title has been awarded to K-Ryole, a French provider of the first intelligent electric bike trailer. Five winners have scooped the silver prize that will see them take part in a European tour of five major technology hubs to meet investors and future clients. These are: EUSP New Mobility Summit in Brussels, Vivatech in Paris, ITS Europe in Brainport, New Mobility World in Frankfurt and Smart City World Congress in Barcelona. In addition, five ‘super winners’ have won the gold prize, as selected by a panel of European experts from the mobility sector, and will take part in a mentoring programme with Boston Consulting Group and law firms Grimaldi Studio Legale and Parallel Avocats.